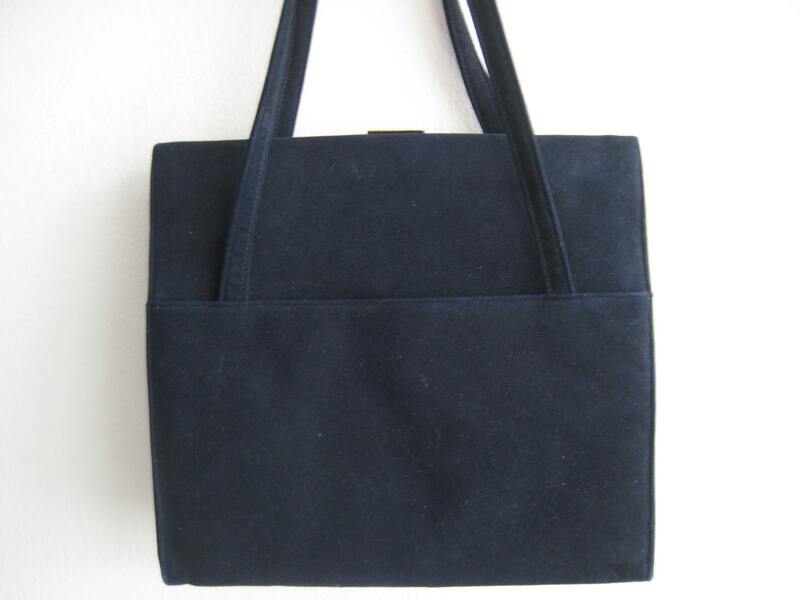 Simply lovely vintage black suede bag by Koret. 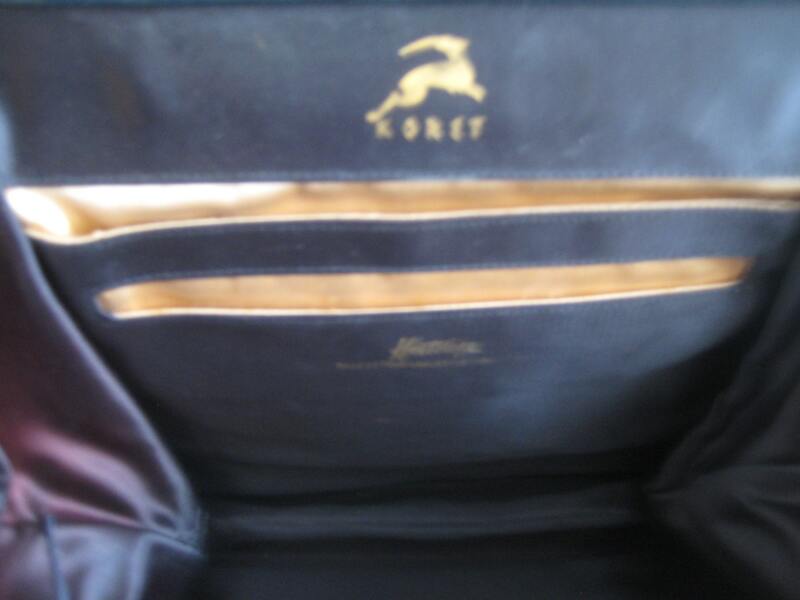 Includes the classic Koret change purse! Square design with straight sides. Patch pocket on each side with plum colored satin lining! 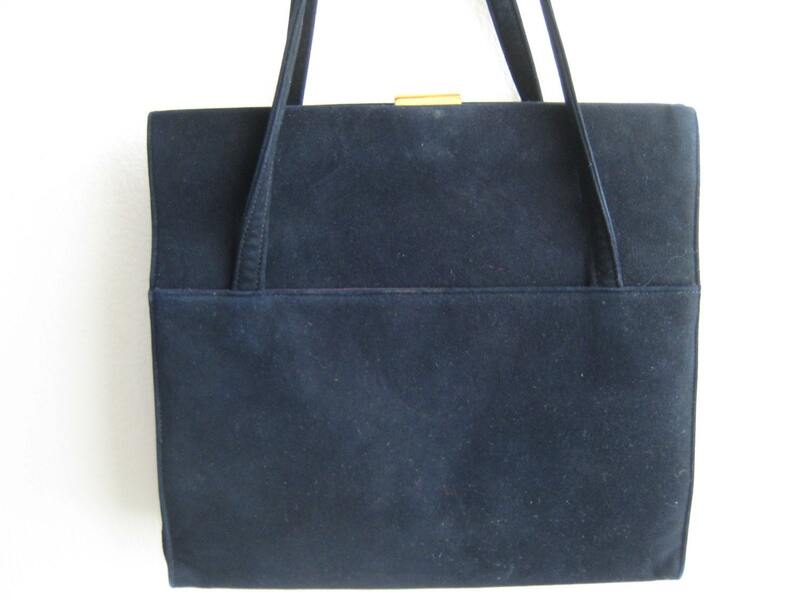 Two matching suede straps are attached from the patch pockets and have a six inch drop from top of bag. 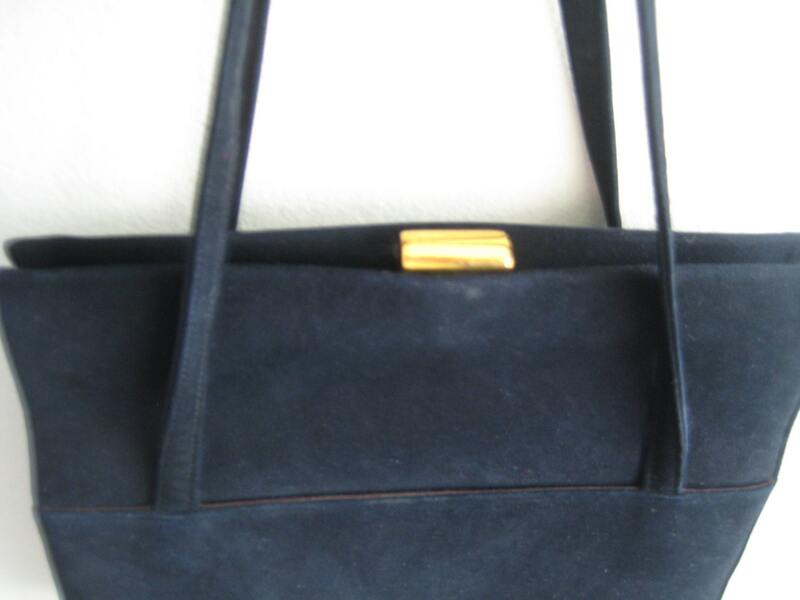 The change purse (with kiss lock) is made of the same plum trim and attached. Two patch pockets and one metal zippered pocket, all with gold satin lining inside. 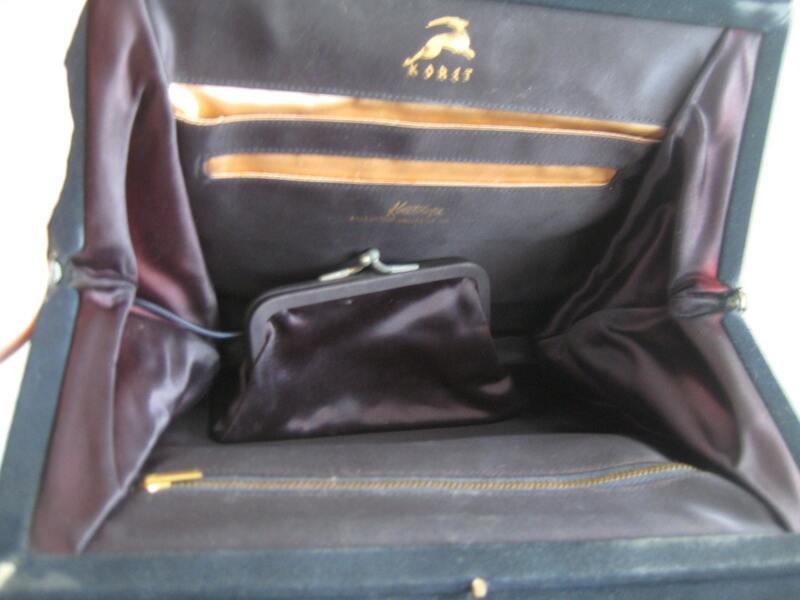 Gold embossed Koret label and a patent "Koretolope" mark. Dimensions: 8 inches long x 7.5 inches tall. Expandable sides.